Water kills bridges. Water seeps through the pavement eroding the structure and corroding interior metal supports. Waterproofing the bridge deck, can prevent water, chemicals, and debris from reaching the bridge structure. 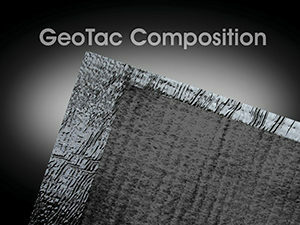 GeoTac geo-composites are peel-and stick waterproofing membranes designed specifically as a moisture barrier. They prevent water permeation or penetration through pavement surfaces and subsequent damage that moisture causes. GeoTac products are high-caliber with fully modified SBS asphalt mastic applied to non-woven polyester geotextiles. GeoTac HS is a higher strength version of GeoTac with increased puncture, tear and temperature resistance (overlay temperature can range up to 350°F (177°C), that is used when increased toughness and durability in the waterproofing installation is desired. 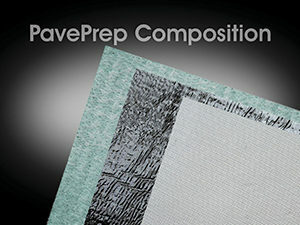 PavePrep geo-composites are high-density mastics laminated with tough woven polyester designed to withstand the loads encountered by highway traffic and stress concentrations at pavement joints and cracks. The dense and flexible PavePrep mastic reduces crack reflection through the overlay. PavePrep SA is a heavy duty high strength waterproofing membrane that is 0.135 inch (3.4mm) minimum thickness and is composed of a flexible, high density asphalt mastic bitumen between a top layer of heat resistant, high strength woven polyester reinforcing fabric and a bottom layer of non-woven heat resistant polyester fabric with a polymer modified asphalt self-adhesive layer and removable release liner. The high strength fabrics provide increased reinforcement and cracking resistance. 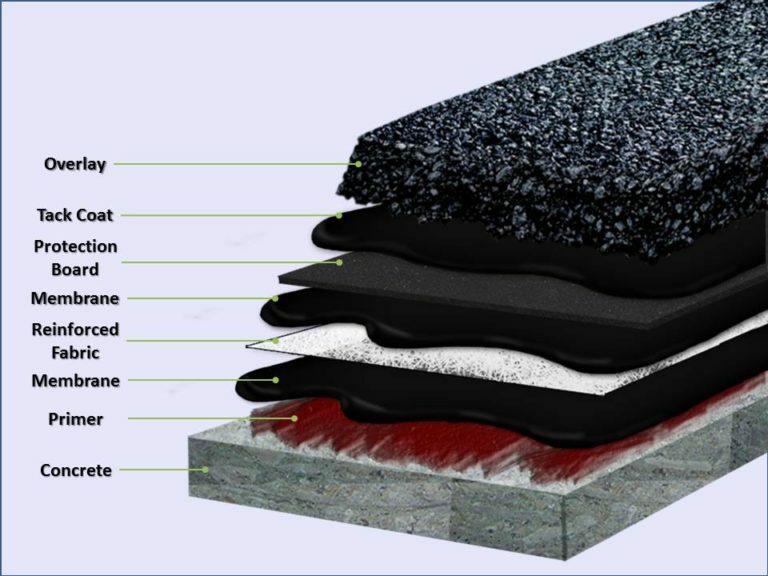 PavePrep TSA is composed of the same fabrics and asphalt layers as PavePrep SA, but is thinner with thickness of 0.080 to 0.115 inch (2.0-2.9mm). The Ultraseal Waterproofing System is a built up multi-layer system used to protect the pavement surface from chlorides, water penetration and other harmful materials. The system is made up of four parts – Ultraseal Primer, Ultraseal Reinforcing Fabric, Ultraseal Bridge Deck Membrane, and Ultraseal Protection Board. The proper installation and layering of these products creates a waterproof barrier that protects bridges from water damage. Visit UltrasealProducts.com for more information.